Humans have used little more than the earth beneath our feet to bake delicious food for thousands of years. 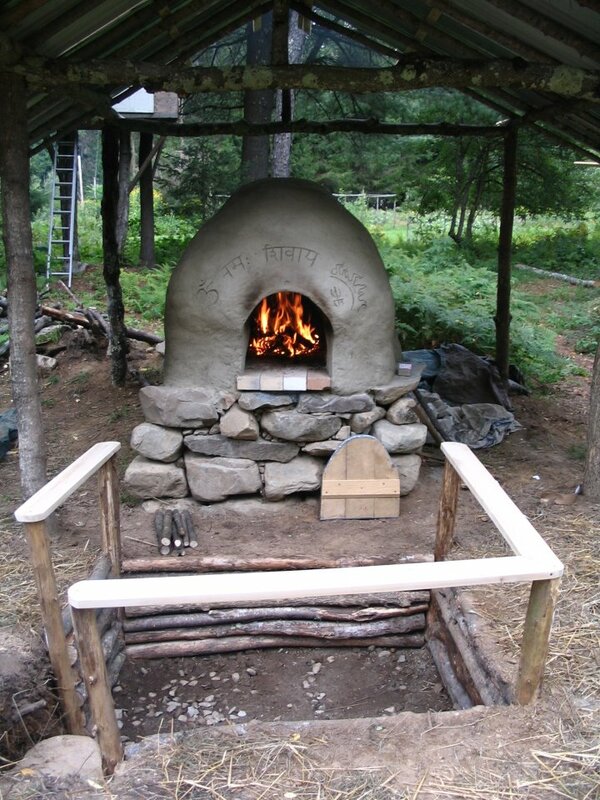 With little more than clay, sand, bricks, and stone you too can build a beautiful, functional, and inspiring bread and pizza oven. Join us for an inspiring weekend workshop and learn how to combine these most elemental materials to form a sculpted dome that will bake delicious bread, pizza, meat… and well, just about anything. We’ll discuss oven siting, materials selection and sourcing, foundation design and detailing, roof design and construction, all the fundamentals that go into building an oven that will last, and of course, baking and firing in an earthen oven. No previous experience required. Come ready to get your hands dirty! 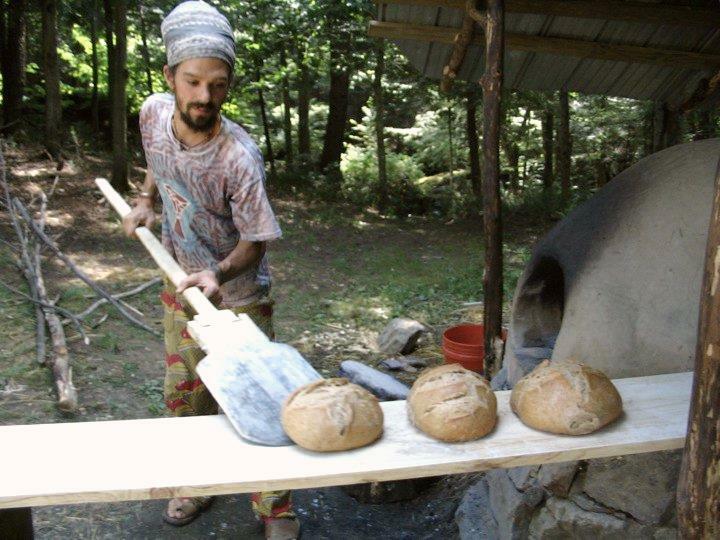 Led by natural builder Mark Krawczyk and master baker Simha Bode. $180 recommended donation- sliding scale includes camping on-farm camping Saturday night and farm sourced breakfast Sunday morning. Open to barter and non-cash arrangements- no one will be refused for lack of funds. Farm sourced lunches and dinners available for additional cost and by pre-arrangement only. The workshop will be held at Willow Crossing Farm/ Prospect Rock Permaculture, the region’s longest established and most diverse permaculture design sites. The oven is part of a larger harvest kitchen designed for farm dinners, and especially for making pickles, jams, sauces, salsas, and otherwise preserving summer’s bounty for year-round enjoyment. We’re also along an incredible beautiful and clean section of the Lamoille River- take a break for a quick swim or paddle surf between sculpting mud while spending the weekend on our farm learning this timeless and invaluable skill. Visit www.prospectrock.org, email keith@prospectrock.org, or call (802) 734-1129 for more details and to register. 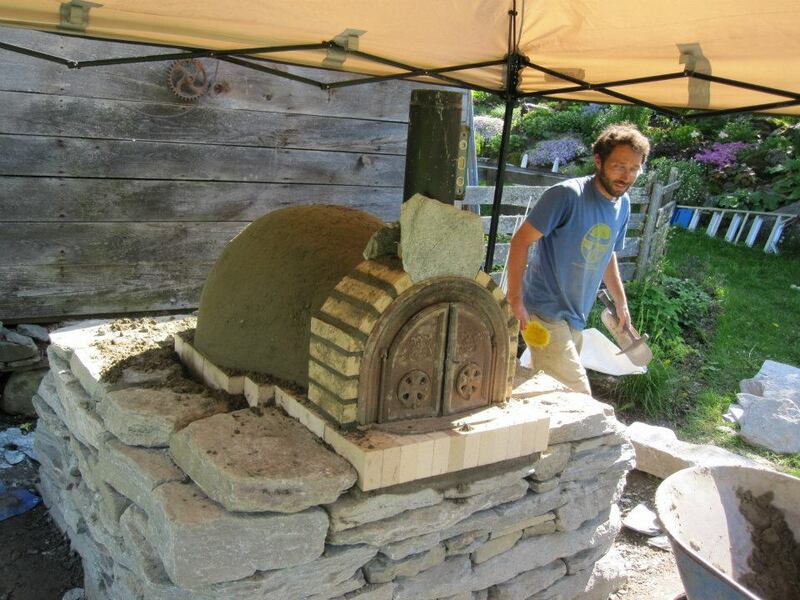 Awesome Earth Ovens!! It’s inspirational to see such fine biodegradable and ecological masterpieces! !